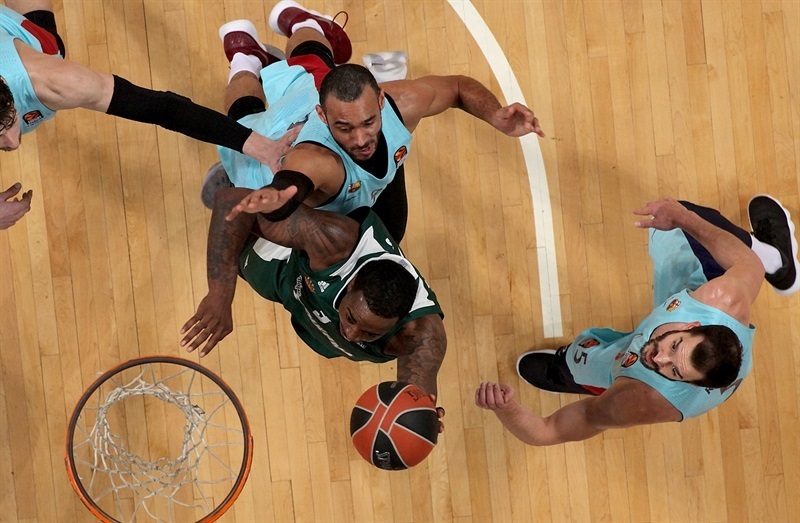 Panathinaikos Superfoods Athens stayed perfect at home this season by shutting down FC Barcelona Lassa 84-75 on Thursday in the Greek capital. Panathinaikos is now 9-0 this season at Olympic Sports Center Athens this season and 12-5 overall, good for at least third place. Barcelona fell to 6-11 as its two-game winning streak was snapped. 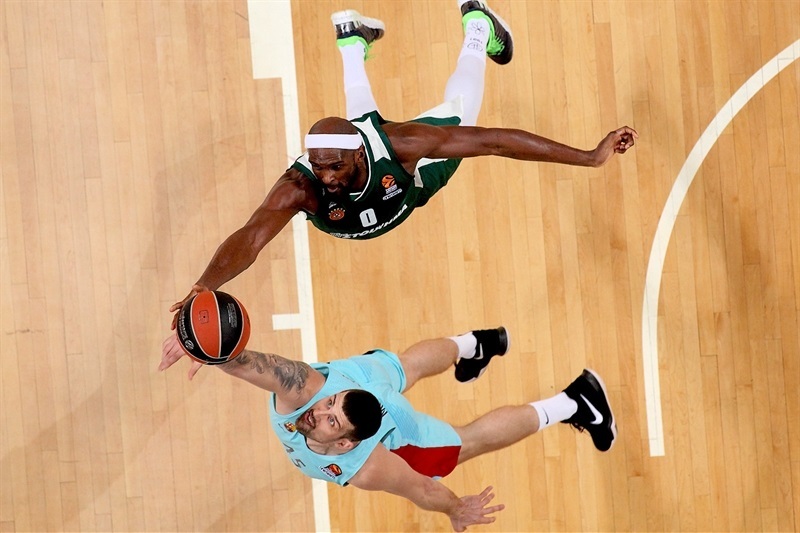 The Panathinaikos defense held Barcelona to 6 points during almost 12 minutes bridging the second and third quarters, after which the visitors did not challenge strongly for the lead. 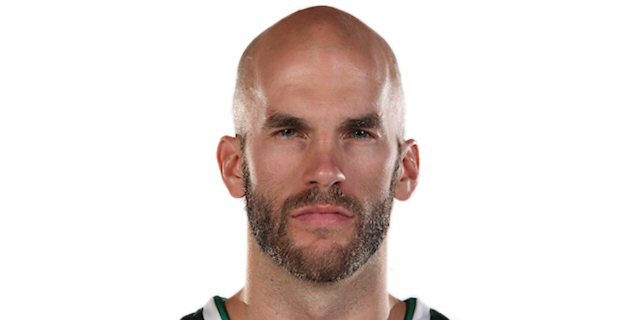 Nick Calathes led Panathinaikos once again with 17 points, 12 assists and 5 steals on a night when the home team suffered 4-for-21 three-point shooting. James Gist matched those 17 points, while Nikos Pappas added 15 and Chris Singleton 14 for the winners. Barcelona got 18 points from Thomas Heurtel, 12 from Ante Tomic, 11 from Adrien Moermann and 10 from Pau Ribas, but suffered from 16 turnovers and the absence due to injury of leading scorer Kevin Seraphin. A theme developed early with Panathinaikos racing the floor for 2 early fastbreak baskets each by Calathes and Singleton. 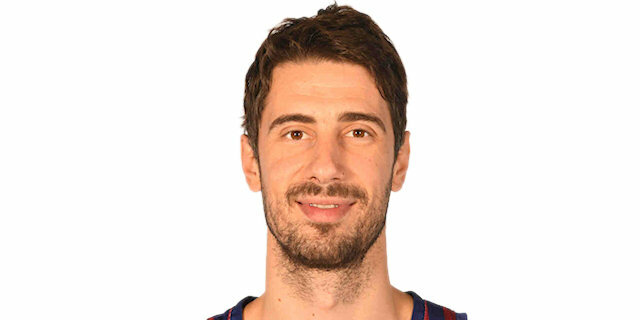 But Barcelona combined triples by Ribas and Juan Carlos Navarro with 4-for-4 hook shooting by Tomic for a 10-16 lead. 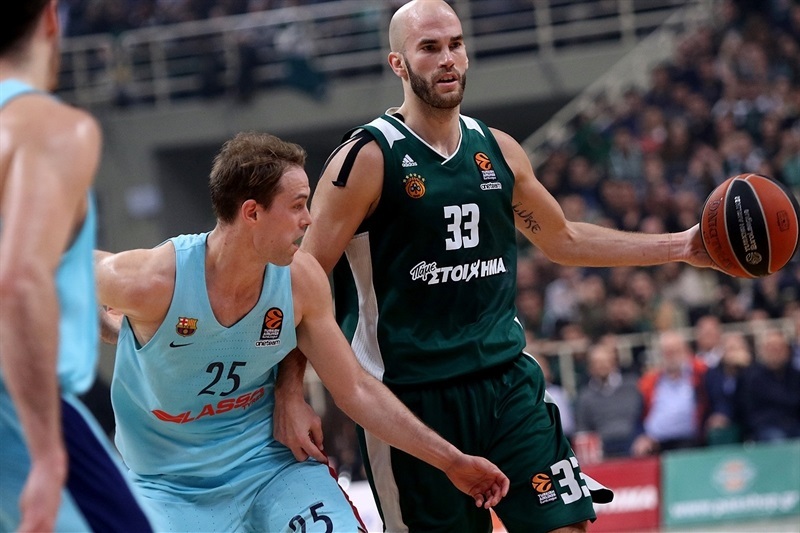 Calathes answered with a four-point play as he put back his own free throw miss and Gist tied it up, 16-16, on a tip-in. Heurtel joined Barcelona's three-point marksmen in time for the visitors to lead 17-19 at the end of one quarter. Gist rocked the rim between two Barcelona defenders to open the second quarter with a tie, but Heurtel kept his team ahead with a short jumper and killer three to make it 19-24. 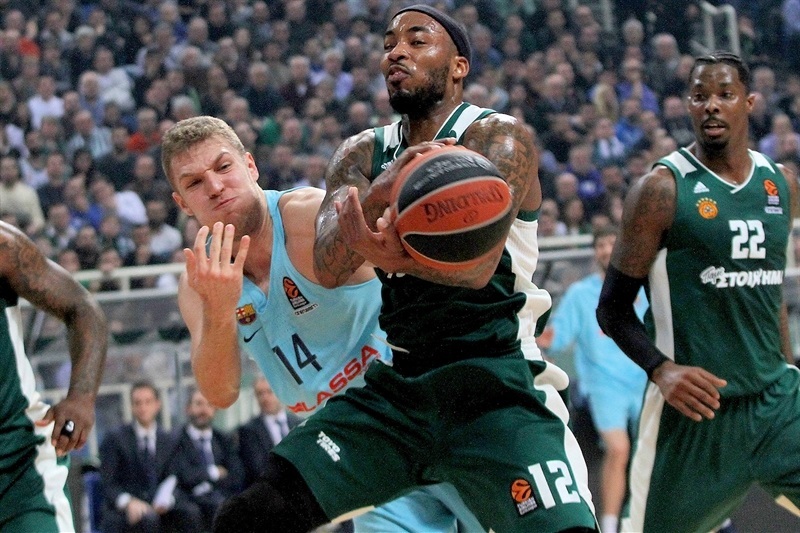 Marcus Denmon dropped a floater for Panathinaikos that Petteri Koponen answered from downtown at 21-27. Gist's one-hand slam of a miss, free throws and reverse dunk were offset by jumpers from Heurtel, Pierre Oriola and Sasha Vezenkov as Barcelona upped its lead to 27-34. Calathes got a basket back and fed Matt Lojeski for another at 32-34. The home team's first three-pointer, by Singleton in the half's next-to-last minute, was worth a new Panathinaikos lead. 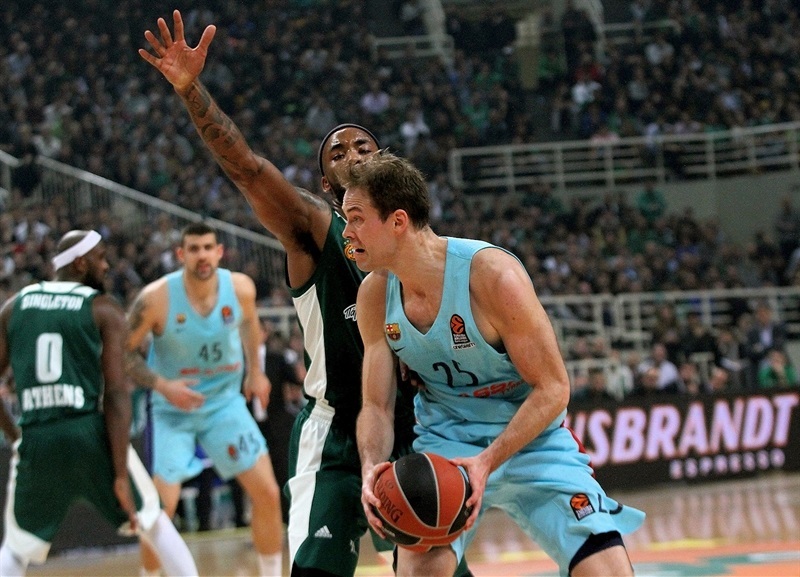 And after holding Barcelona scoreless for the last 4:21 of the second quarter, Panathinaikos led 36-34 after 20 minutes. Tomic and Moerman shot Barcelona in front right after the break and Ribas upped the difference to 37-40. Now it was Panathinaikos going more than 4 minutes with just a free throw having fallen until K.C. Rivers scored off an inbounds play. 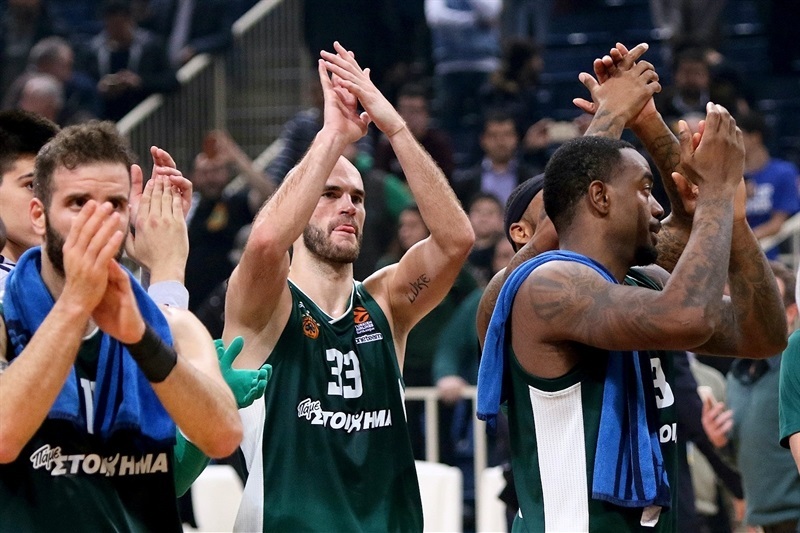 Then Gist reemerged with a block at one end and an alley-oop three-point play at the other as Panathinaikos regained a 42-40 lead. 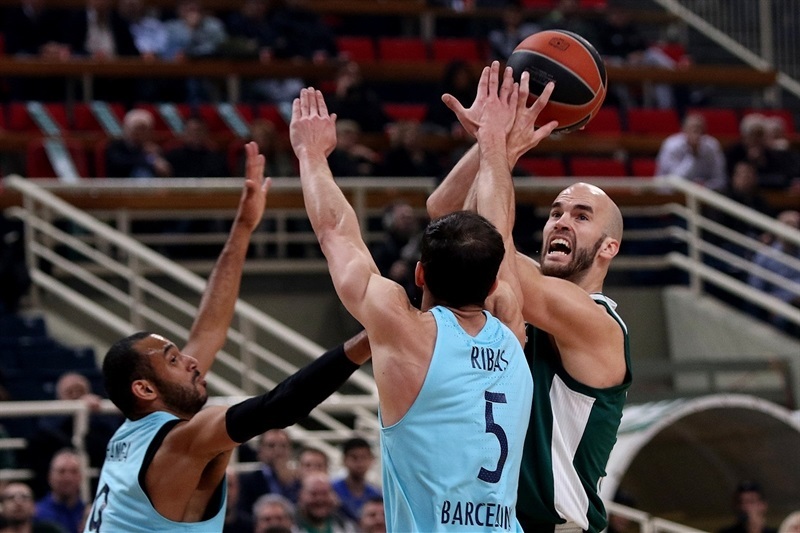 Calathes kept it going with a layup and Gist with free throws, but it was the Greens' defense that ruled now, forcing Barcelona turnovers left and right. Singleton's next three-pointer raised the lead to 49-42, and despite a fastbreak dunk by Lojeski and an jump-hook by Ian Vougioukas, Heurtel beat the buzzer with a three-pointer to keep the difference to 54-48 after three quarters. Heurtel cut the lead further to open the fourth quarter. Pappas and Oriola traded free throws, but Vougioukas was back with an up-and-under layup at 58-52. Koponen hit a big shot for Barcelona, but Calathes answered on a nice pass from Vougioukas and Pappas scored next on the break for his team's biggest lead yet, 62-54. 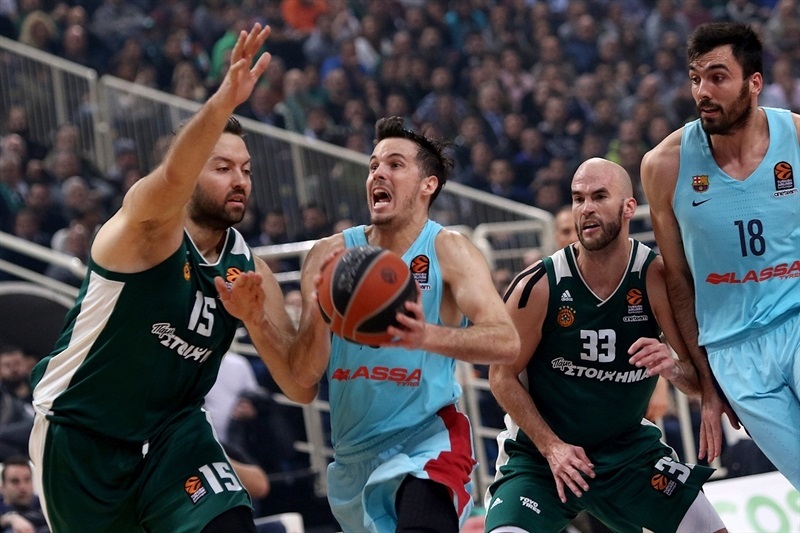 Tomic scored inside but Kenny Gabriel blasted away for three on the 10th assist by Calathes and when Pappas drove for another basket, the hosts had the game's first double-digit lead, 67-56. 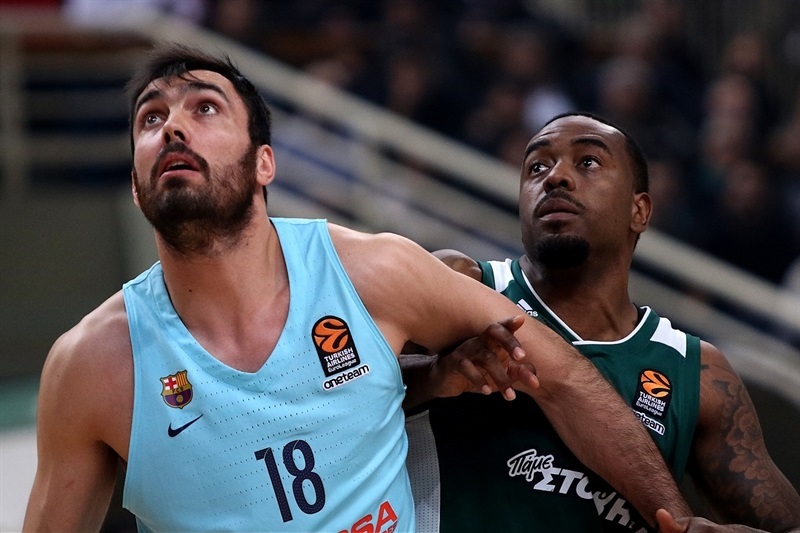 Baskets by Navarro and Hanga helped Barcelona cut the difference to 69-62, but Calathes responded with delightful assists to Pappas, who soon added a face-up three. When Gist fed Singleton for a fastbreak dunk at 78-65 with under 1:30 to play, it made sure of a yet another home win for Panathinakos. "I think tonight we played smart in the second half. In the first one, we played without controlling our emotions. Sometimes this is very dangerous. But in the second half we played smarter on offense. On defense, the first five minutes of the third quarter we didn't play very well, but step by step after that we improved and this is why we won the game." "To me, I think it's one of the most important games because we won the game without good shooting on offense. I think it's difficult to win a game like that against a team like Barcelona. We shot really bad on three-pointers, really bad free throws, but we still to fought and played defense and this is how we won this game." 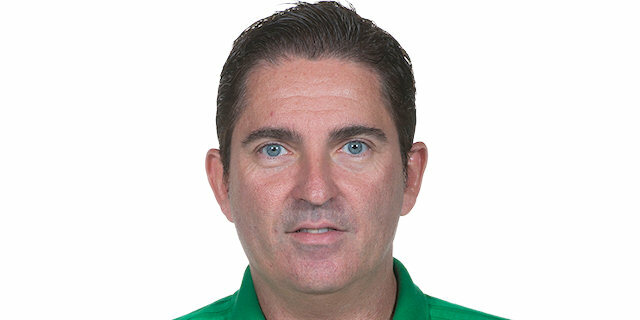 "First, we have to say that Panathinaikos has played very well. They have a very good team, they are doing a very good job and it's very difficult to beat them here. 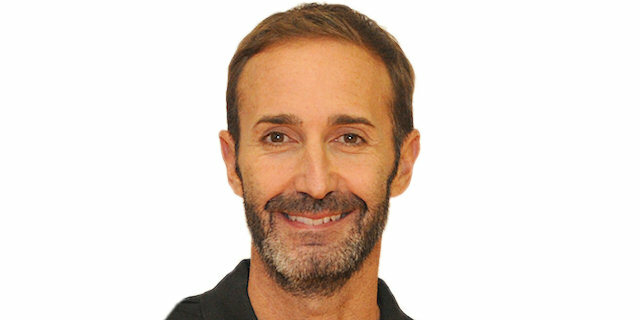 But from the beginning we wanted to punish them for the switching defense they do, especially with Gist on the court, and I think we played well, moving the ball well and avoiding turnovers. But when we were winning by six or eight points, we turned the ball over two or three times and allowed them to run. They run well and found very good options to get over their bad moments in the first 10 minutes. After that, for me, the most important player, especially in the fourth quarter, has been Vougioukas. With Vougioukas on the court, we had a plan to attack him and take advantage of those moments. But the opposite happened. He played very well in the low post, getting four points in one-on-one situations and the assist to Calathes, and maybe the game changed in this moment. That frustrated us and they took control of the game and we could not compete in the last few minutes." "Defensively, we got stops, and if we do that on our home court, it's tough to beat us. I think that in every game the key is our defense, because we can get out in transition and we have guys who can shoot the ball and finish. 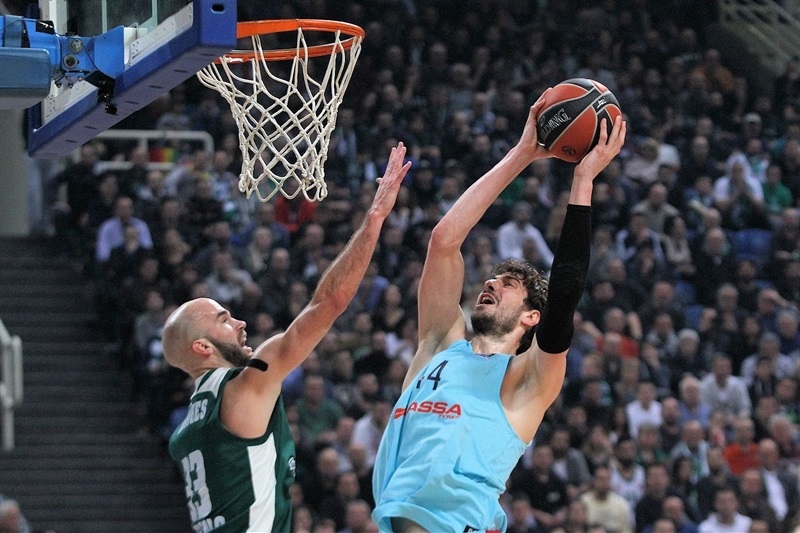 We knew coming in that they were hot, winning two in the row in the EuroLeague and some others in the Spanish League. We knew it was going to be a difficult game but it was a big win for us and now we have a tough schedule coming up." "I believe that we played very well in the opening 15 minutes. Then in the final minutes of the second quarter and the first part of the second half, we lost control a little bit, especially on offense, with a lot of turnovers. They run the floor really well when they collect steals and they got the lead at halftime. We played well after that but during the game, we were not able to be focused until the end. It is a tough loss but we have to keep working and look forward."